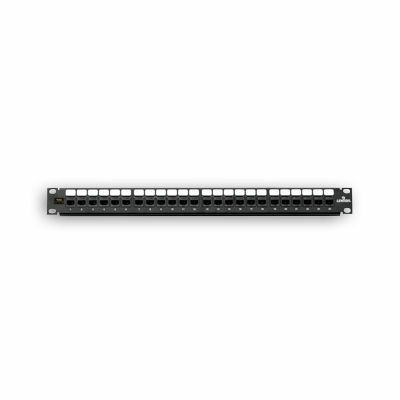 Leviton’s eXtreme 10G Patch Panel exceeds all channel performance requirements in TIA-568-B.2-10 from 1MHz to 500 MHz to support the IEEE 802.3an standard for 10 Gigabit Ethernet over UTP cable. 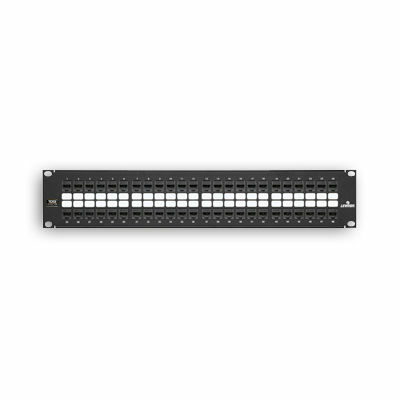 eXtreme 10G patch panels are designed for use on standard 19" racks and cabinets. Each includes Leviton’s patented Retention Force Technology® (RFT) to promote consistent performance over the life of the system and the patented Cone of Silence™ (COS), which effectively eliminates alien crosstalk (AXT) from adjacent connectors. Leviton’s unique configurable panel design allows for combining multiple QuickPort connectors to mix media (copper, fiber, coax) to meet specific customer requirements. Leviton’s eXtreme 10G system is designed for use in high megabit applications such as 10 Gigabit Ethernet.